You'll want to order the optional rearview camera--the Expedition's huge, and smaller objects (like, say, Kias) can easily get lost in its blind spots. If you're one of the few SUV fans left standing in the full-size arena, the 2012 Ford Expedition offers truck toughness in a well-rounded, well-featured SUV package. The Ford Expedition is trucky, conservative, mammoth as it's always been--and that's why it's still around, now that other full-size SUVs have fallen from orbit, or failed to launch at all. The Expedition's selling much more slowly than it ever has, but it's still one of the better choices for those who need to tow and haul. The Expedition is related to the F-150 pickup truck, but the differences between them are clear even up front. The more rounded Expedition sheetmetal, weirdly, now looks more dated than that on the latest F-Series trucks. It's an echo from the 2000s, when the Expedition sold in the tens of thousands. The Expedition comes in two body lengths, the standard version and the EL, which is 14.8 inches longer, with the major difference being the longer rear fenders and glass. Both versions share an interior that's functionally fine, but still, after a 2007 reskin, clad in a lot of plastic that's a shade less nice than the materials inside a GMC Yukon or a Chevy Suburban. 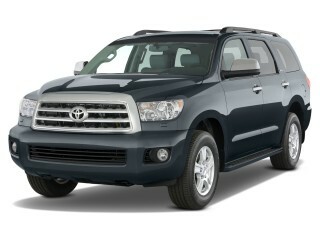 The Expedition performs reasonably well, with handling that masks some of its body-on-frame heaviness. The Expedition has one powertrain to offer, a 5.4-liter flex-fuel V-8 that makes 310 horsepower and 365 pound-feet of torque. It's enough to move the big SUV quickly enough, but feels underpowered when towing or fully loaded, compared to the strongest Suburbans. The Expedition's six-speed automatic is up to the task, responsive and smooth to shift, and four-wheel drive is available. Driving the Expedition is pretty easy, considering its size, thanks to light but precise steering, and a suspension that does a great job reeling all that weight in. It always feels mammoth, but the Expedition never feels out of control, even though the brakes have spongy pedal feel. The ride of the Expedition is certainly no match for the newer generation of car-based crossovers, but it rides better than other body-on-frame trucks. The suspension does a splendid job of soaking up irregularities while keeping the back wheels glued to the road over rough surfaces, with none of the nervous hopping that characterizes solid-axle designs. 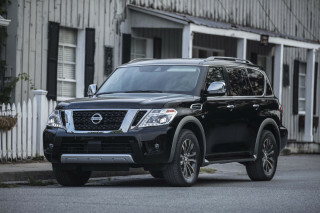 As roomy and comfortable as its gigantic exterior implies, the Expedition can seem ridiculously large nowadays, as many drivers have stepped down from SUVs into crossovers. The Expedition's front seats are captain's chairs, and their wide range of adjustability and with power-adjustable pedals and a telescoping steering wheel means people of any size should be able to find a workable driving position. The expansive head and knee room continues in the second row of seats, and even adult passengers will find the third row spacious enough for short trips. There's more room for people and cargo in the longer-wheelbase Expedition EL, which drops an additional 14.8 inches in the truck's overall length, for a total of 130.8 cubic feet of cargo space, including an additional 24 cubic feet behind the third-row seat. It's one of the biggest SUVs on the planet, with a wheelbase of 131 inches--in other words, longer than a Smart fortwo or Mitsubishi i. The length pays off in particular in the third row, where the wider rear doors help ease entry and exit into the way-back. Ford offers a PowerFold third-row seat and a power liftgate for convenience. The Expedition lineup includes XL, XLT, Limited, and King Ranch trims, all available on the EL model as well. Ford's SYNC system, with Bluetooth and voice-activated controls for phone and audio systems, is standard on the top three trim levels. If you can afford it, the King Ranch edition has a unique, unpolished leather interior like the stuff baseball gloves are made of--which lets it age along with the vehicle. Even though the Expedition shares a lot with the F-150 pickup, it's no utilitarian workhorse. Making life easier is a generous equipment list that includes an optional DVD-based navigation with a 6.5-inch color touchscreen and voice activation, as well as a 340-watt AM/FM stereo with MP3 playback, six speakers, a subwoofer, and a standard iPod jack. A keyless entry keypad, heated power mirrors, air conditioning, an electrochromic rearview mirror, illuminated visors, and a leather-wrapped steering wheel are all standard across the Expedition range. Also on offer are Ford's MyKey system and a nav system that includes live traffic and weather information. Traditional from its roof to its tire grooves, the 2012 Ford Expedition's styling is aging well. Conservative and trucklike by design, the 2012 Ford Expedition makes the most of its mammoth proportions to say something unequivocal to folks who still want big SUVs: we're still here for you. 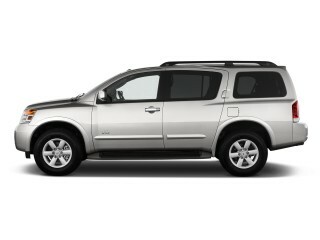 The Expedition hasn't changed much since a 2007 redesign, and it doesn't show the obvious signs of aging. Like a Jeep Wrangler or a full-size truck, the Expedition doesn't have much need or reason to change. The message remains clear in its nonsculpted sheetmetal, in its bluff grille, in the tall glass areas--there's toughness and simplicity in its lines. It's quite directly related with the F-150 pickup underneath, and the resemblance is undeniable in front, but the F-150 has gone a little more creased and folded in its last few iterations, while the Expedition's still a little soft at the corners, more like the prior generation of F-Series trucks and the first Explorer. The interior, on the other hand, is beginning to look dated, whether compared to other full-size SUVs or to modern crossover designs. The design and location of controls is quite simple. There are quite a few subpanels and trim pieces meeting at squarish and straight edges, punctuated with round vents, and a shelf running full length across the dash—and an odd mix of matte-metallic, dull plastic, and faux-wood trim. 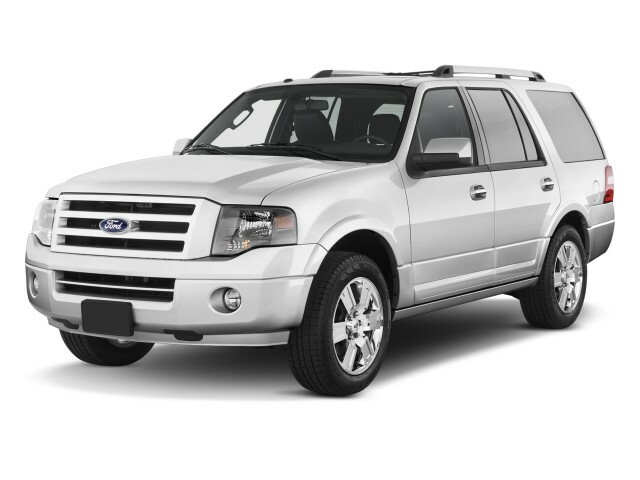 Somewhat shy on power, the 2012 Ford Expedition has fine handling for such a large vehicle. It outperforms expectations with steering and ride quality, and with overall road manners that belie its body-on-frame heft. 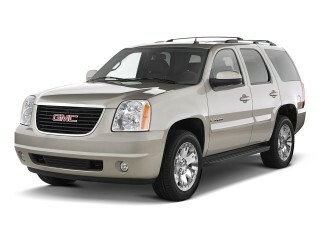 But ultimately, the Expedition loses ground to some other big SUVs because its V-8 engine isn't as powerful. The Expedition, in fact, doesn't offer any choice in drivetrains. The only engine is a 5.4-liter V-8 with 310 horsepower and 365 pound-feet of torque. Mated to a six-speed automatic transmission that's smooth and responsive, the powertrain delivers the goods to either the rear wheels or to all four wheels. 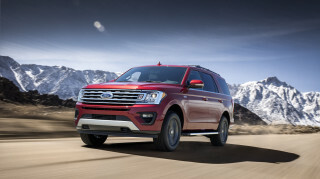 With other full-size SUVs approaching 400 hp in standard form, the Expedition's numbers suggest exactly how it feels on the road--acceptable under medium engine loads, then progressively more strained as more people and cargo enter the equation. It's capable of towing up to 9,100 pounds, but that kind of heavy-duty durability shouldn't be confused with brisk performance. Despite its size, driving the Expedition is relatively easy—thanks to light but precise steering, and a suspension that does a great job reeling all that weight in. The ride of the Expedition is certainly no match for the newer generation of car-based crossovers, but it rides better than other body-on-frame trucks. The suspension does a splendid job of soaking up irregularities while keeping the back wheels glued to the road over rough surfaces, with none of the nervous hopping that characterizes solid-axle designs. The net product is a mammoth SUV that doesn't always feel mammoth from behind the wheel. The only major criticism, other than the lack of engine power, is the Expedition's rather spongy brake feel and plentiful nosedive in hard stops. 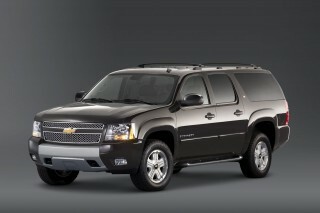 As big as it seems, the 2012 Ford Expedition teems with adult-sized seating and cargo space. The ginormous proportions don't lie: the 2012 Ford Expedition is one of the most spacious vehicles on sale in America, even bigger when you decide on the EL version. As you can guess, the room inside the Expedition is expansive. It's also comfortable, too, since the seats show a little more attention to cushioning than the standard-issue benches in more basic transportation. Big, comfortable captain's chairs are standard in front on all Expeditions. They have a good range of adjustments, not only to the seat but also to the pedals and steering wheel, that means smaller adults shouldn't have much of a problem finding a comfortable driving position. Head and leg room are non-issues for even the tallest passengers we know. Move into the second-row seat, and head and leg room are still big enough to accommodate taller adults. They'll even be able to climb into the third-row seat for short trips--though it'll be an easier task in the longer EL, with its wider rear doors, than in the standard Expedition. A PowerFold third-row seat is optional, allowing it to fold flat with the touch of a button, while a new, redesigned power liftgate is also available. Ford has moved the mechanism away from the ceiling, eliminating the hump that could obscure the driver's vision while backing up. Even with the third-row seat raised, the standard Expedition has almost 20 cubic feet of cargo space available. Crash-test scores are unavailable, but the 2012 Ford Expedition has bulk and tech in its corner. Without new crash-test data since changes to scoring in the 2011 model year, the Ford Expedition has to lean on past performance and its current list of safety gear. The Insurance Institute for Highway Safety (IIHS) hasn't re-rated the Expedition since it added a roof-crush score to its regimen in 2011. 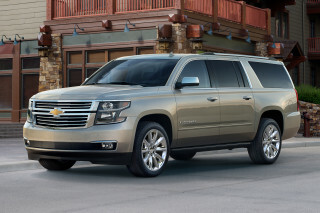 The National Highway Traffic Safety Administration (NHTSA), which redesigned its testing program last year, also has left the Expedition off its testing list thus far--though before 2011, the big SUV received five-star ratings in all front and side impact categories. Other than the mandatory standard features, Ford also fits the Expedition with standard side-impact airbags, and the Expedition's curtain airbags extend protection to all three rows of seats. There's an option for a backup camera, which we strongly recommend due to the Expedition's poor rear visibility. Also available is Ford's programmable MyKey system, which allows parents to program a speed limiter, speed alert chimes, and additional belt reminders. The Expedition added Ford's Trailer Sway Control as a standard feature in the 2011 model year. This system works in conjunction with stability control to detect trailer sway through the motions of the vehicle and to take measures—such as applying precise braking and reducing engine torque—to bring both vehicle and trailer under control. Tech features abound in the 2012 Ford Expedition, with only one or two omissions on the options list. With four trim levels offered in either the standard edition or in the long-wheelbase EL, the 2012 Ford Expedition still reaches out to pure utility buyers, while giving fans of tech and leather some interesting lifestyle options. The versions include the basic XL, a well-trimmed XLT edition, the luxe Limited, and our favorite, the King Ranch. All versions come with keyless entry; heated power mirrors; air conditioning; an electrochromic rearview mirror; an AM/FM/CD player; and a leather-wrapped steering wheel. SYNC, Ford's Bluetooth-driven voice controller for communications and entertainment systems, is standard on XLT, Limited, and King Ranch Expeditions. The latter get their own marvelous untreated leather interior: it looks and feels and even smells like a baseball mitt, and requires upkeep, showing the warts and scuffs accumulated through the miles. Ford offers some of its advanced tech features on the Expedition. There's an optional DVD-based navigation with a 6.5-inch color touchscreen and voice activation, as well as a 340-watt AM/FM stereo with MP3 playback, six speakers, a subwoofer, and an iPod jack. The nav system is paired with Sirius Travel Link is also offered, providing access to up-to-the-minute information and entertainment content such as traffic and weather updates; and the new SYNC Traffic, Directions & Information system allows even those without the nav system to use a Bluetooth-compatible phone to get directions. Without the powertrain upgrades applied to the F-150 pickup, the 2012 Ford Expedition continues to post low gas-mileage numbers. Like most large SUVs--but unlike Ford's own F-150 pickup--the 2012 Expedition isn't very efficient with gas, or very green. 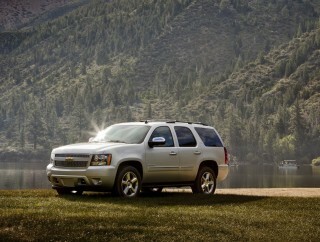 The EPA rates the Expedition at 14/20 mpg, when it's equipped with rear-wheel drive. 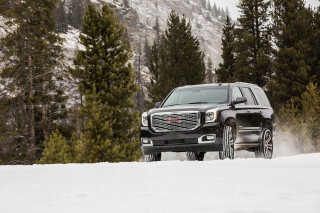 With four-wheel drive, the numbers fall to 13/18 mpg. In contrast, the F-150 pickup line--from which the Expedition is derived--now has a new lineup of V-8 and V-6 powerplants that have boosted its fuel economy considerably. With the likes of the EcoBoost V-6, the F-150 now gets highway ratings solidly in the mid-20-mpg range. Ford hasn't confirmed it, but the Expedition is due to receive at least some of these improvements at its next major model change. That said, much of the Expedition's efficiency depends on use. If you use all three rows most of the time, and park it when it's just going to be the driver, the Expedition can be a reasonably green vehicle. Also, for those more interested in petroleum independence than environmental impact, these big trucks are E85 (85-percent ethanol, 15-percent gasoline) compatible, but then consumption numbers fall to an EPA-estimated 9/13 mpg.